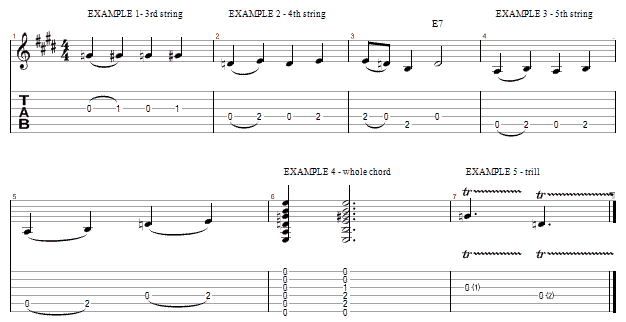 Fairly simple use of the open strings with the E major chord gives quite a few permutations of melody notes using either articulated (plucked) notes or hammer on/pull off techniques. Remember these are ingredients for improvisation so there are actually lots of different ways to use these techniques other than the examples shown. I would recommend trying to keep your improvisation fairly simple - don't run too many of these together in one phrase..